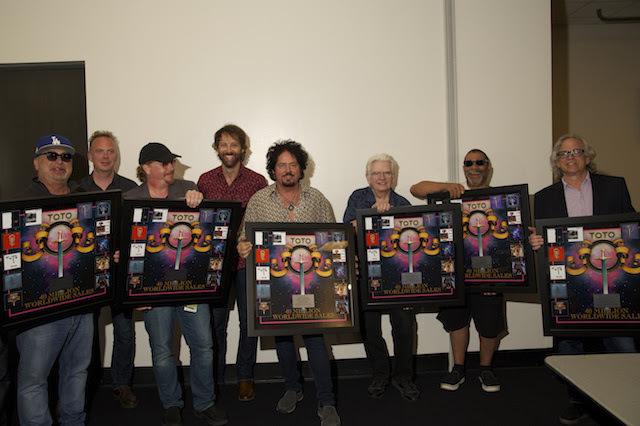 Backstage at the Barclays Center in Brooklyn, NY, Sony Music surprised the members of Toto with brand new plaques honoring that they have now sold over 40 Million albums worldwide. Toto are currently on a co-headline tour with YES in North America. Click to view tour dates.